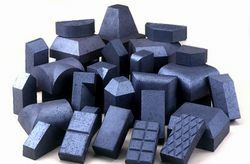 Where quality and durability are paramount Ketley Blue Bricks offer products that are tried and tested in the toughest environments. 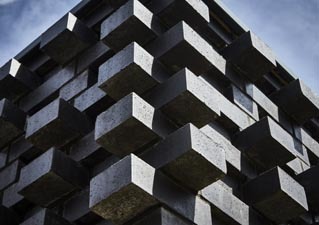 Ketley Staffordshire Blue Bricks have always been regarded as the mark of durability and strength, making them the choice for highly demanding environments. 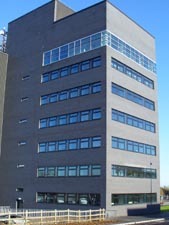 This new faculty building of Health, Life and Social Science was built by RMJM Achitects . 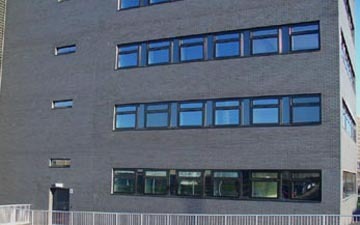 The base of the building is in brick and the upper part is clad in aluminium cladding. 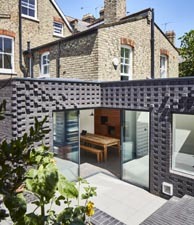 Johnathon Pringle of RMJM Architects explains “A Staffordshire Blue Brindle brick was chosen on the basis of its colour and strength but it was a relatively expensive option. Alternatives were considered but while they could be sourced more cheaply, they could not offer the same high standards of performance. 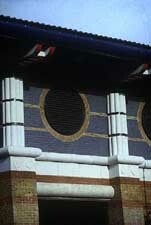 Ketley Brick are renowned for their Staffordshire blue product, and they were able to meet the strict criteria of both cost and quality”. 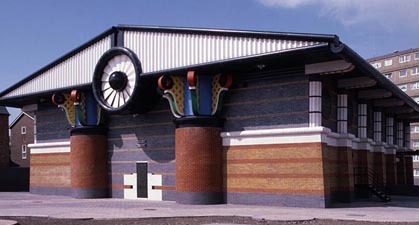 This impressive neo classical building designed by John Outram on the site of the former Addenbrookes Hospital is part of the Judge Institute of Management Studies at Cambridge University. 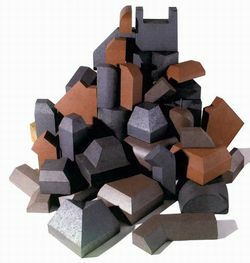 Ketley's Staffordshire Blue Class A Bricks and purpose made specials provide a strong base for the buff brickwork above and also give a high quality finish to this iconic Castle Building. The London Docklands and the Dockland Light Railway. 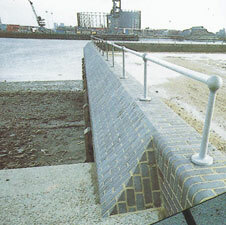 This project was organised by The Docklands Development Corporation between 1981 and 1994. 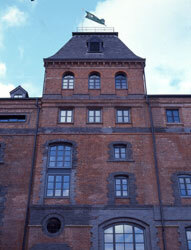 Its purpose was to regenerate the area as it became evermore derelict following the introduction of containerisation. 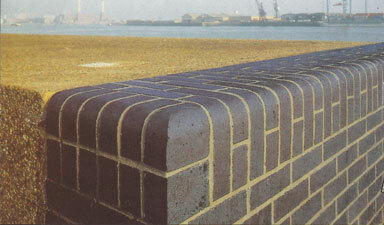 Ketley supplied hundreds of thousands of Blue class A bricks to renew the river walls in the various docks. 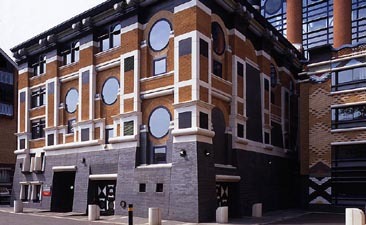 These images are of London Yard, Isle of Dogs. 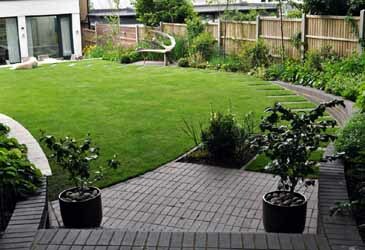 Ketley Staffs Blue bricks are used here in contemporary garden design. 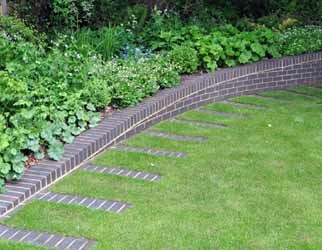 They are laid on edge as pavers and stepping stones in the grass and also form a curved retaining wall starting at ground level and gradually rising. The garden designer, Jilayne Rickards comments, "I love the Staffordshire Blues - they lend themselves as a fabulous backdrop to really great planting. " 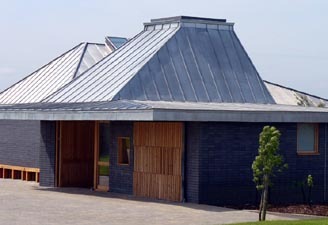 Ketley Staffordshire Blue Bricks are produced at our works located in the heart of the Black Country. 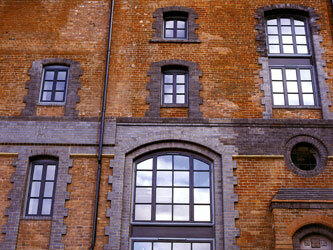 Ketley Bricks have been made from our own Etruria Marl since Victorian times. 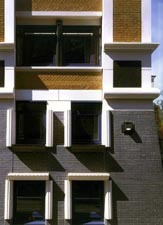 They are recognised as a Class A facing brick of high quality with a strong aesthetic appeal. 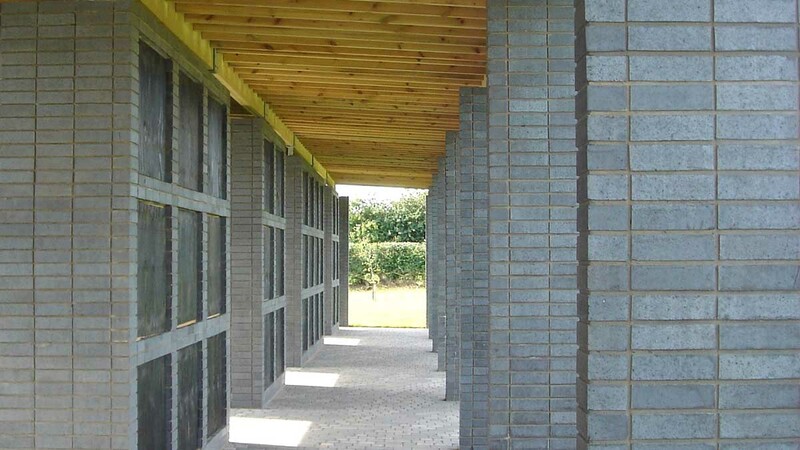 Ketley Just Engineerings are sometimes available for applications not requiring a facing brick.